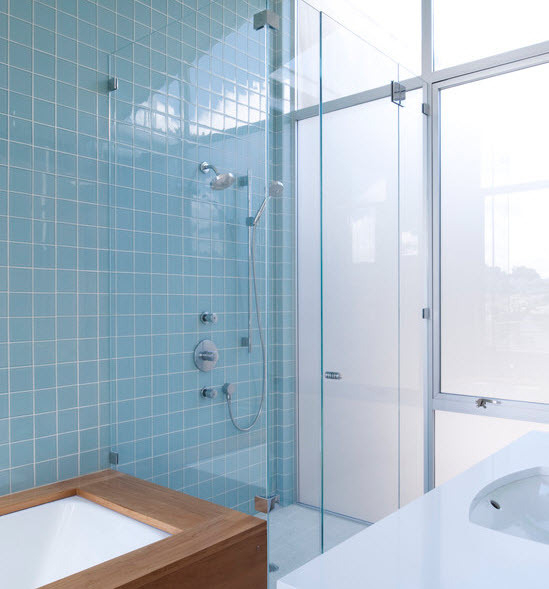 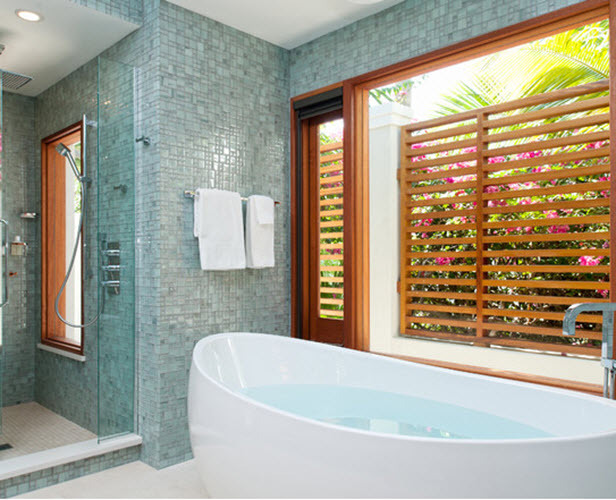 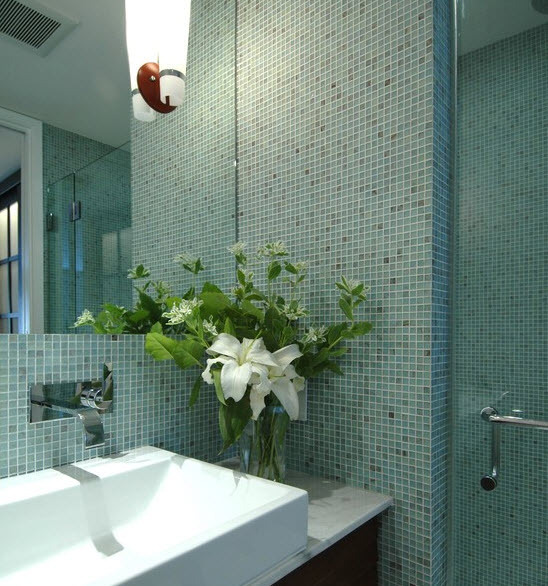 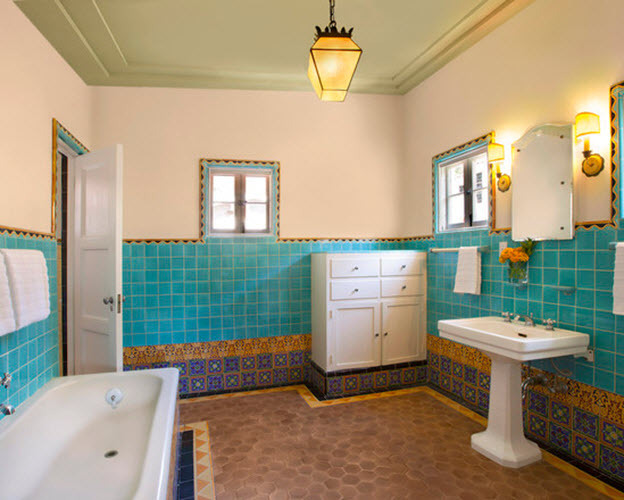 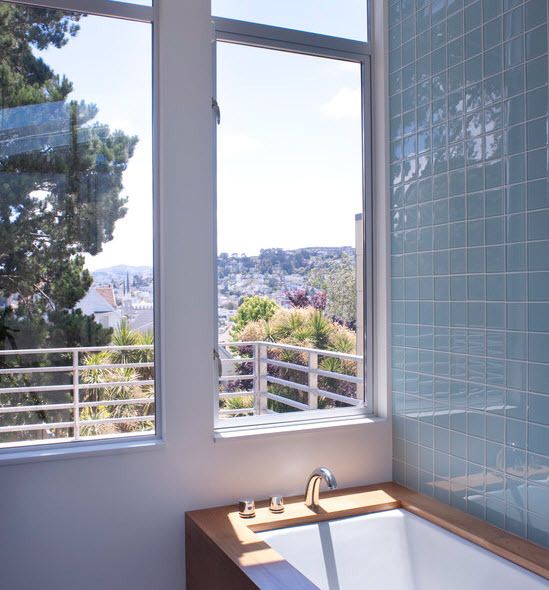 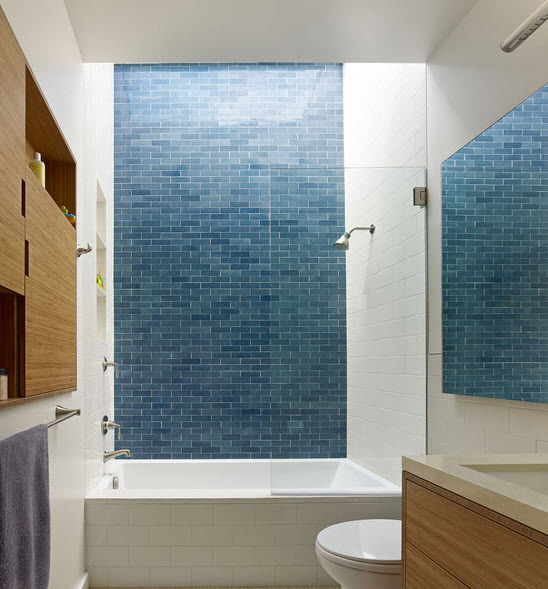 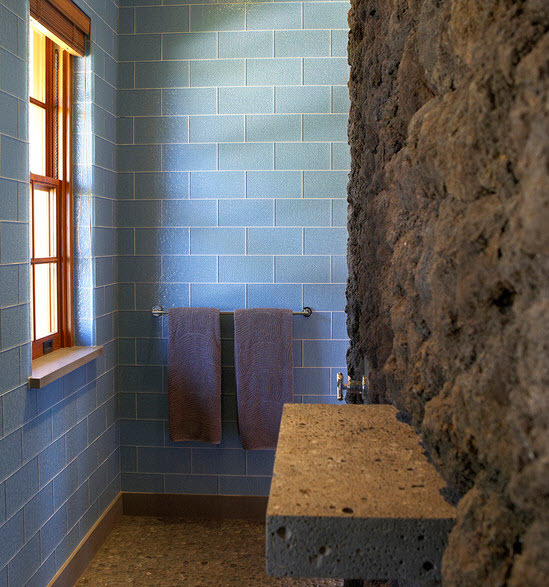 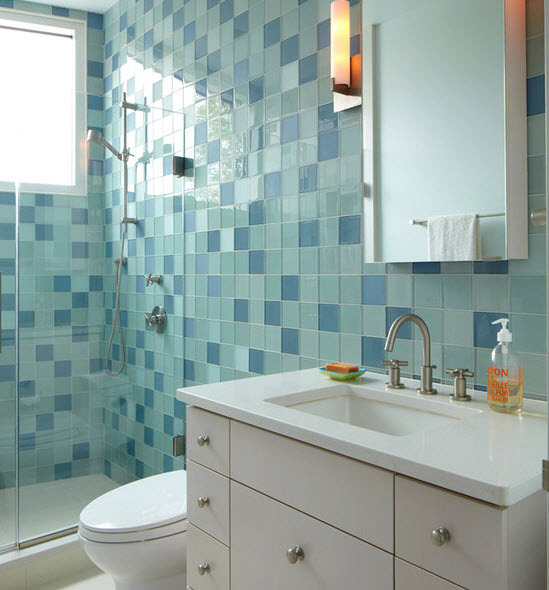 If you want a blue bathroom you have probably already know that there are dozens of shades of blue tile on the market. 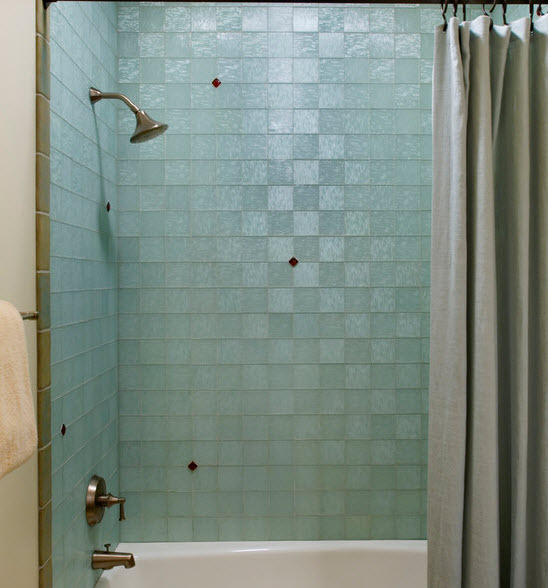 And picking the right one can be a problem. 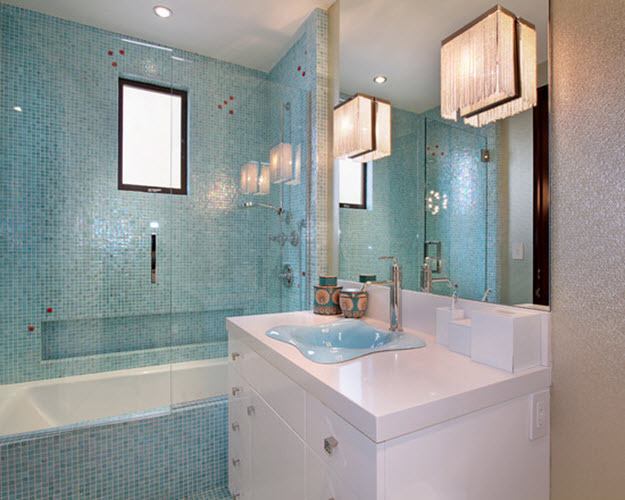 Usually, you have to decide upon what tone you want to use – dark or light. 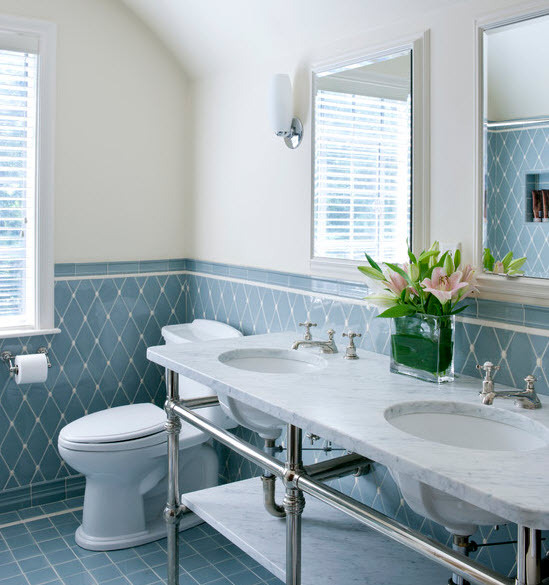 Darker shades of blue can make the room seem smaller so they are usually avoided by most designers and homeowners. 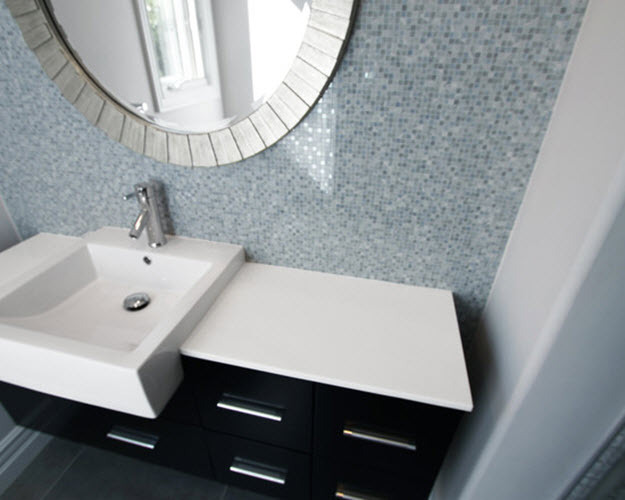 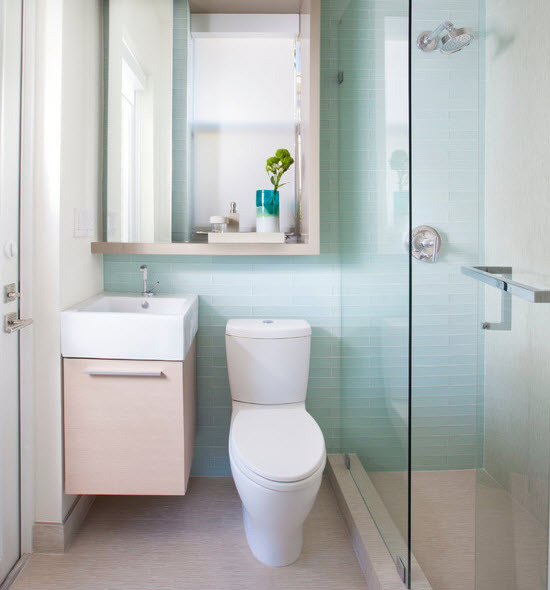 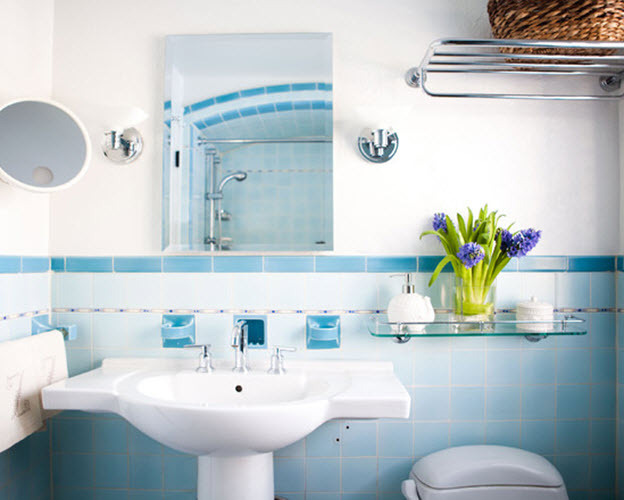 Lighter shades of blue are more suitable for compact bathrooms but they will look awesome in big bathrooms as well. 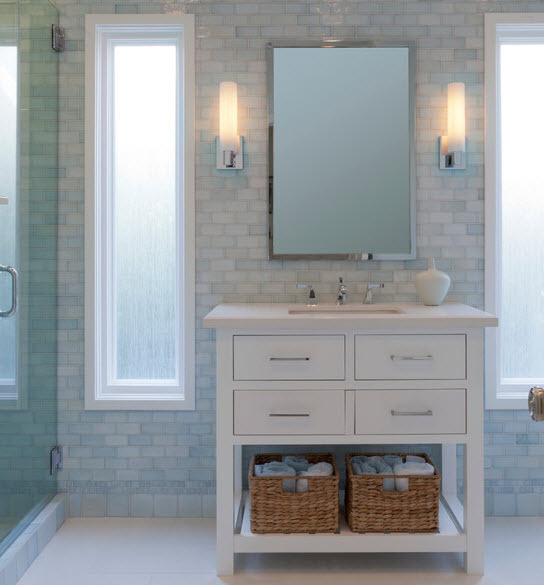 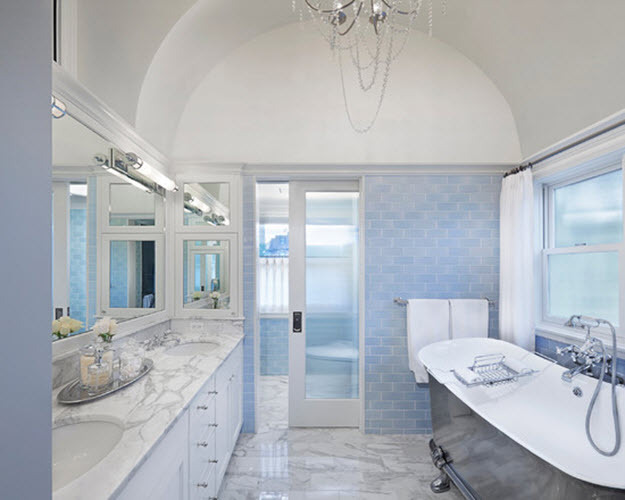 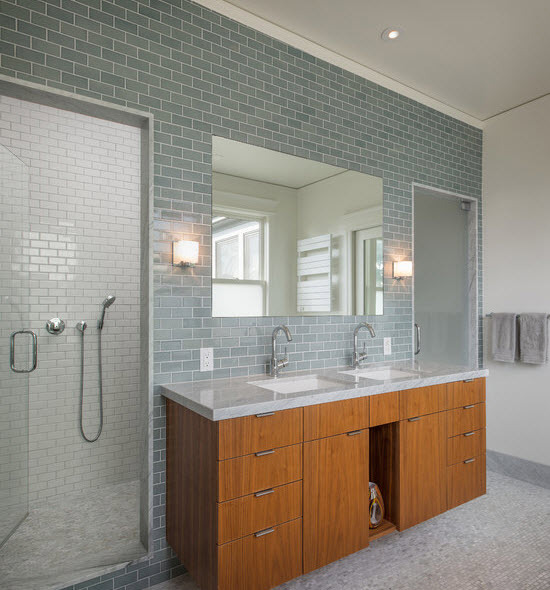 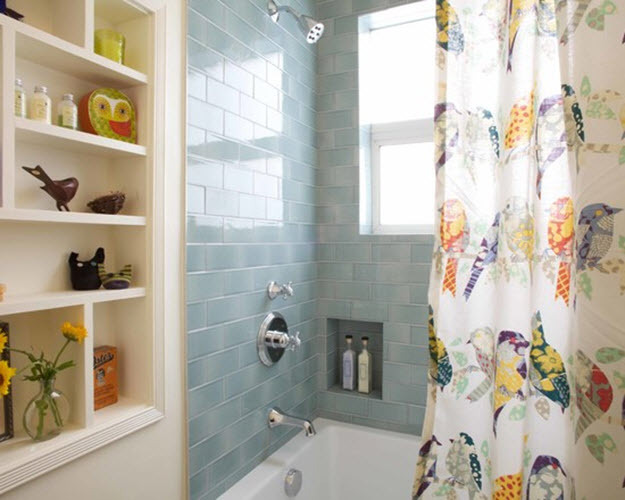 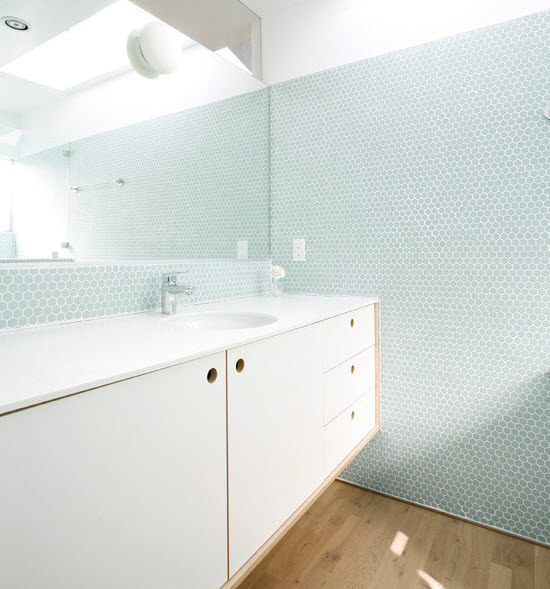 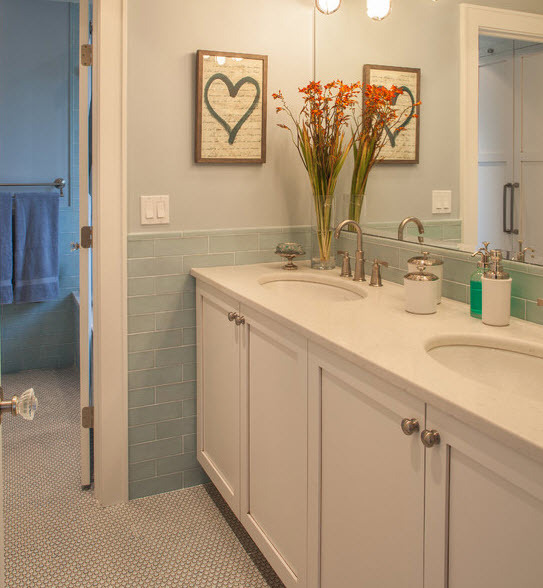 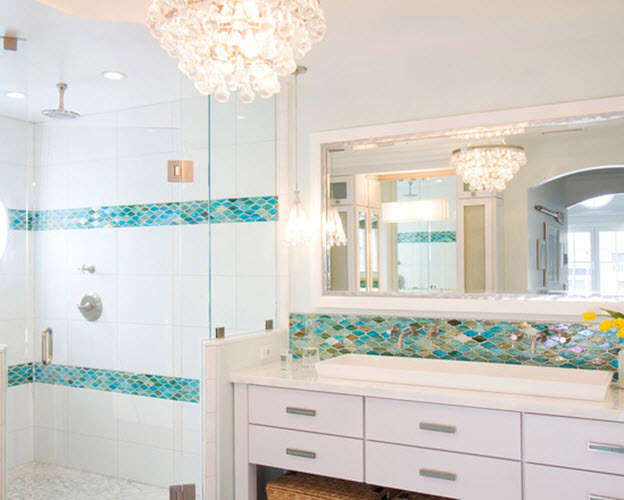 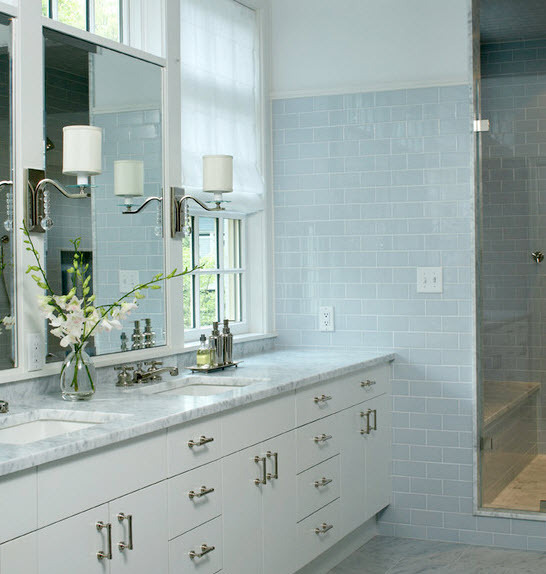 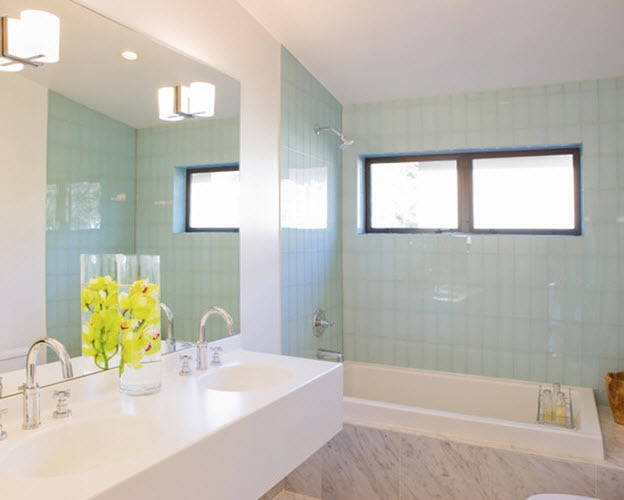 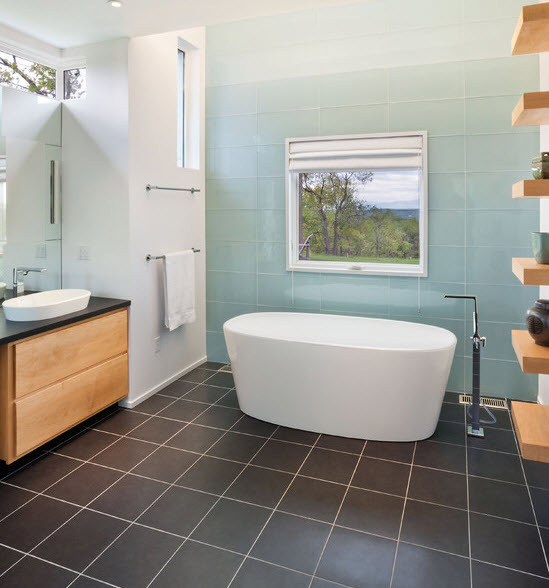 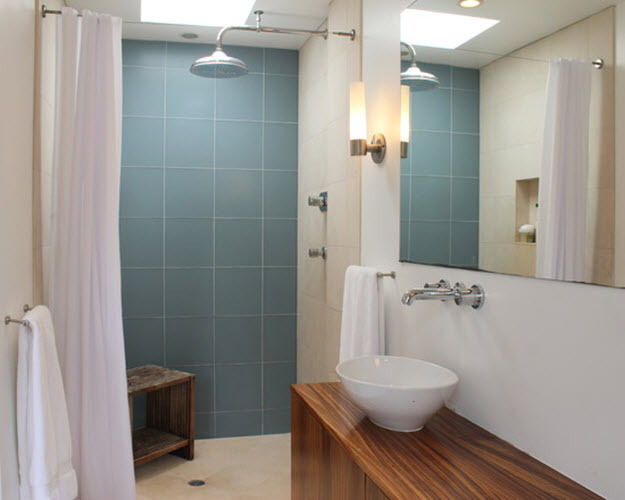 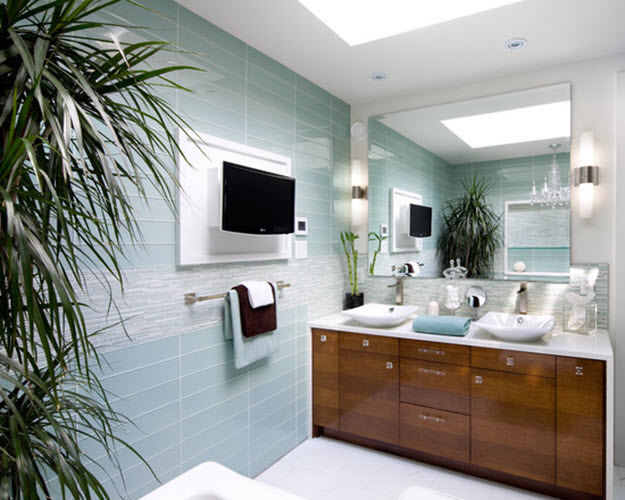 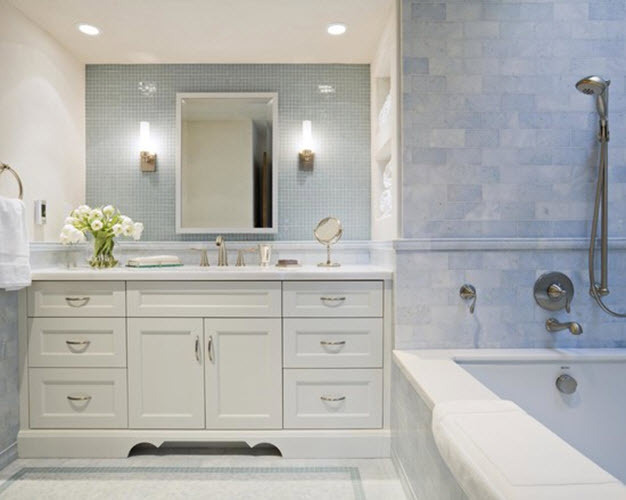 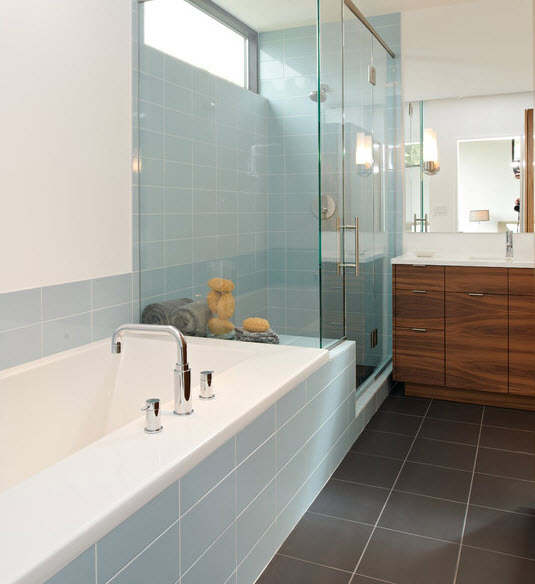 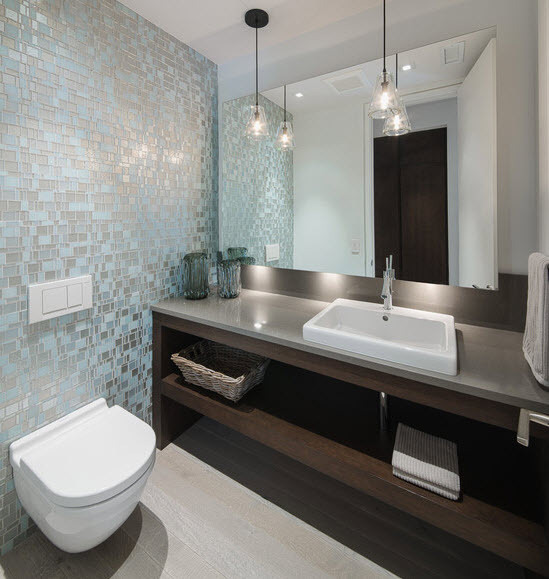 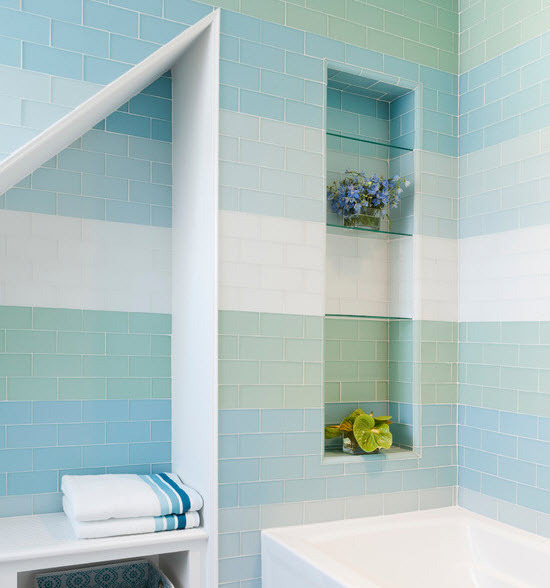 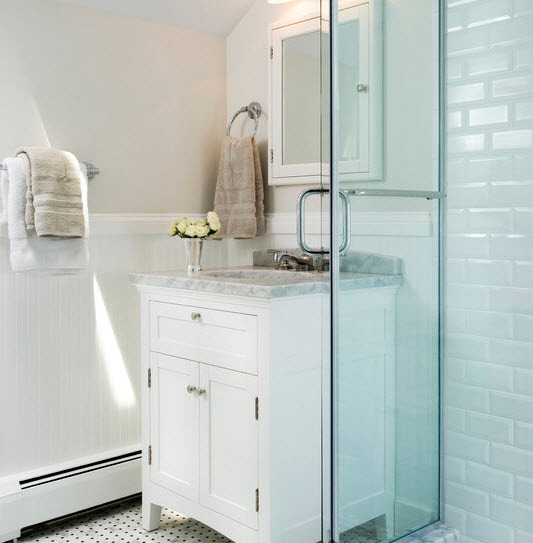 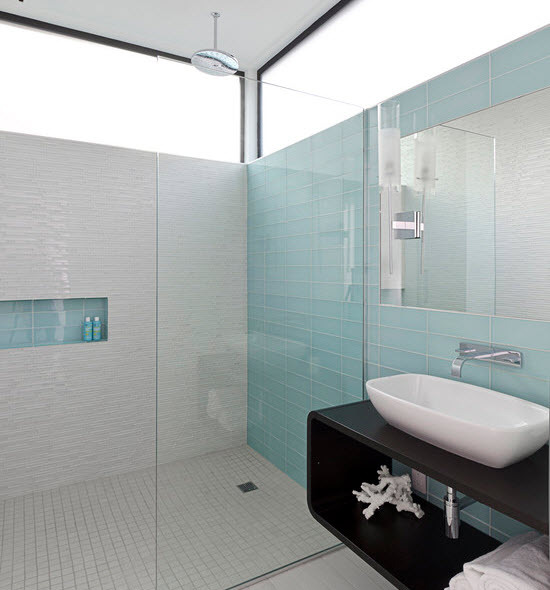 Light blue bathroom tile can make the room seem spacious and free. 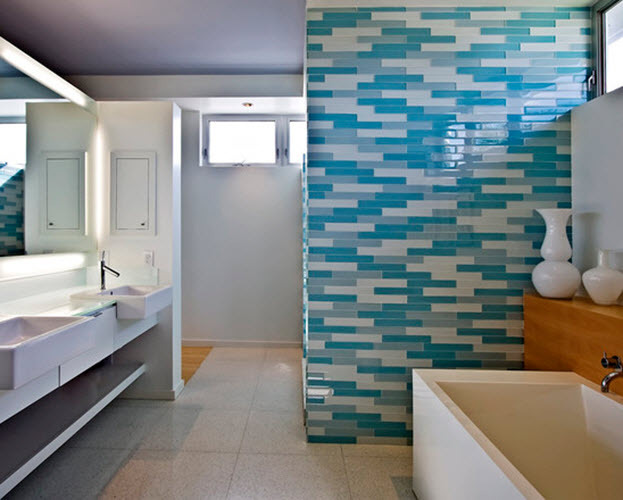 Besides, it is perfectly combined with other shades of blue as well as with other contrasting colors like white or black. 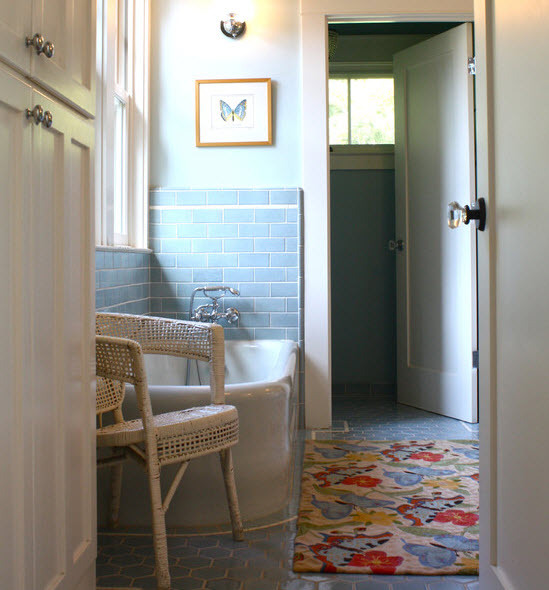 Usually, light blue is chosen as the main color, a so-called canvas for creating certain pattern but sometimes it’s a good idea to use it as an addition to mosaic or make light blue border on the floor. 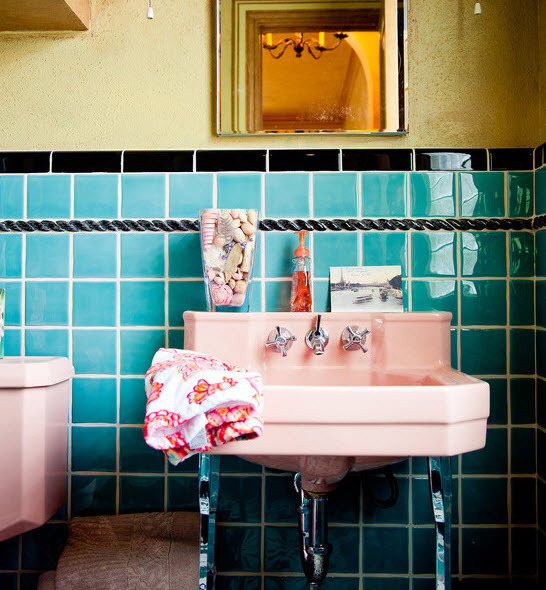 Possibilities are endless so look through, search, experiment and amaze. 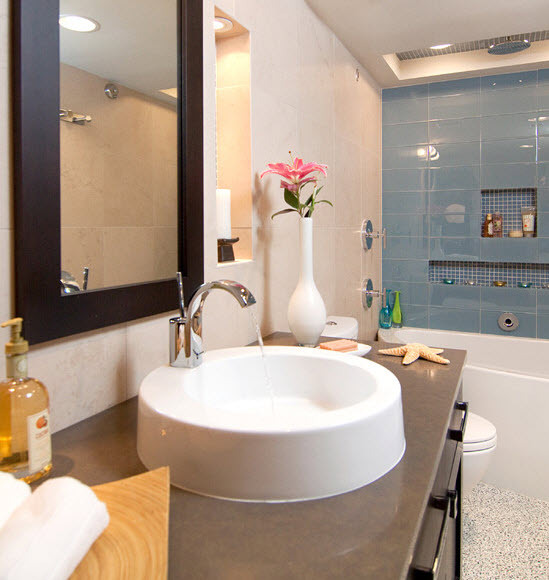 And our photo gallery full of ideas will help you start.